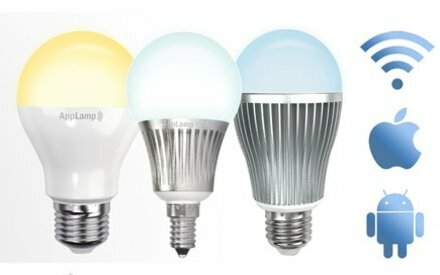 The AppLamp Wi-Fi LED Bulbs are available in two types: The Dimmable Full Color RGBW version that lights up in any color or a pleasant warm white light. The Dual White Wi-Fi LED lamps can mix both warm and cool white light to an appropriate white shade at the time of the day. 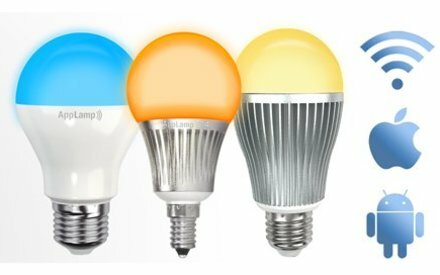 You operate these efficient dimmable LED lamps with your smartphone or tablet: The Applamp App controls your LED lighting via a Wi-Fi Box on Android, iPhone or iPad.